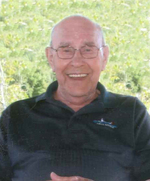 Walter Friskie Obituary - Porcupine Plain, Saskatchewan | Blair's Funeral Home Ltd. The Memorial Candle Program has been designed to help offset the costs associated with the hosting this Tribute Website in perpetuity. Through the lighting of a memorial candle, your thoughtful gesture will be recorded in the Book of Memories and the proceeds will go directly towards helping ensure that the family and friends of Walter Friskie can continue to memorialize, re-visit, interact with each other and enhance this tribute for future generations. 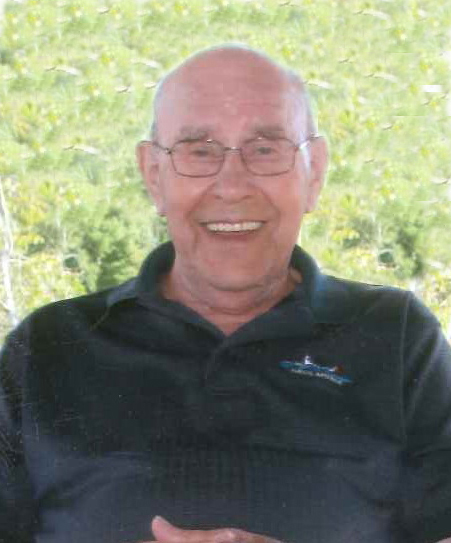 Walter Friskie was born on September 11, 1921 in Fenwood Saskatchewan to proud parents Emil and Alvina (Jacobi) Friskie. Walter grew up in the Goodeve/Springside Area. He had 9 siblings: Willie, Wilson, Sid, Marj, Nettie, Doreen, Wilbert, Georgine and Gordon. Walter worked for several farmers in the Carragana area and Newfield Seeds for 38 years until he retired for the first time in 1989. He went back to work at Newfield in 1990 until he finally retired for good in 1994. Walter married Elizabeth (Liz) Roaming on October 12, 1941. They had 6 children; Wayne, Elaine, Sherolyn, Trevis, Charlene and Cindy. They moved to the Carragana area in 1953 and to Porcupine Plain in 1974 where Walter lived until his death on April 12/18. Walter loved his family, his friends and his horses. A few years after the death of his beloved wife Liz he married Joyce Petrie who had 6 grown children; Norman, Wesley, Lorraine, Cecil, Cindy and Lyle. Walter was predeceased by his mother Alvena, his father Emil, his wife Elizabeth and daughter Cindy Kuzek and his wife Joyce Petrie/Friskie. He was also predeceased by brothers Willie, Sid and Gordon, his sisters Doreen Frick, Georgine Friskie, his brothers in law Otto Frick, Don Carlson, Arlo Carlson and sisters in laws Evelyn Friskie, Verla Friskie, Francis Friskie, Dianna Friskie and Lois Friskie. Walter is survived by son Wayne Friskie (Val), Elaine Hill (Hughie), Sherolyn Pegg (Brian), Trevis McCabe (David), Charlene Kuzek (Gary) and Russel Kuzek. He is also survived by 15 granchildren, 32 great grandchildren and 2 great great grandchildren. He is also survived by the children and grandchildren of Joyce Petrie/Friskie and by his brothers Wilson and Wilbert and his sisters Marj Carlson, Nettie Carlson and many nieces and nephews.